This page shows you how to run and debug your App Engine standard project in an emulator running on your local computer. Select the project in the Project Explorer or Package Explorer. Select Run As > App Engine. Log messages appear in the console as the server starts up. 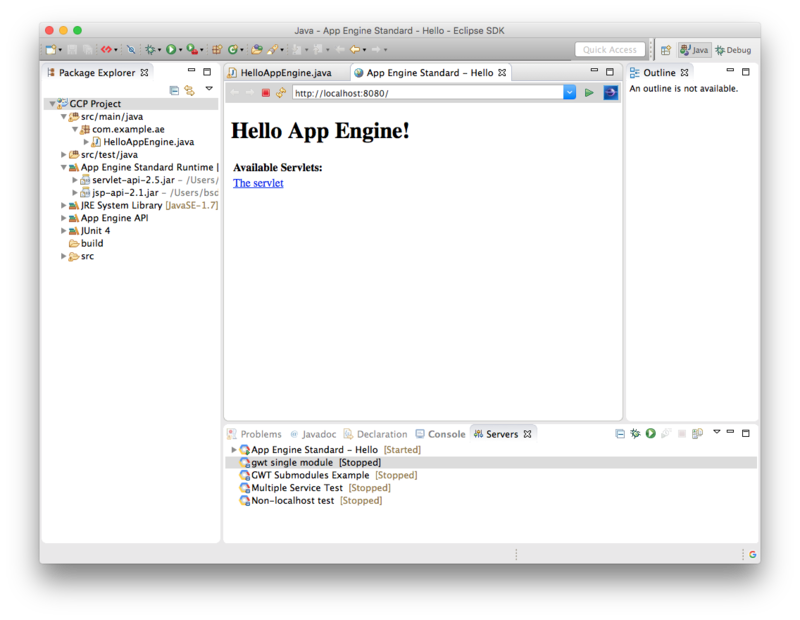 Eclipse opens its internal web browser to your application. You can also open an external browser and navigate to http://localhost:8080. Either way, you'll see a static HTML page with a link to the servlet. Note: You may see a message that says, Port 8080 already in use. If so, you can run your application on a different host or port. To debug your project locally, complete the running the project locally steps, except select Debug As > App Engine instead of Run As > App Engine in the context menu. 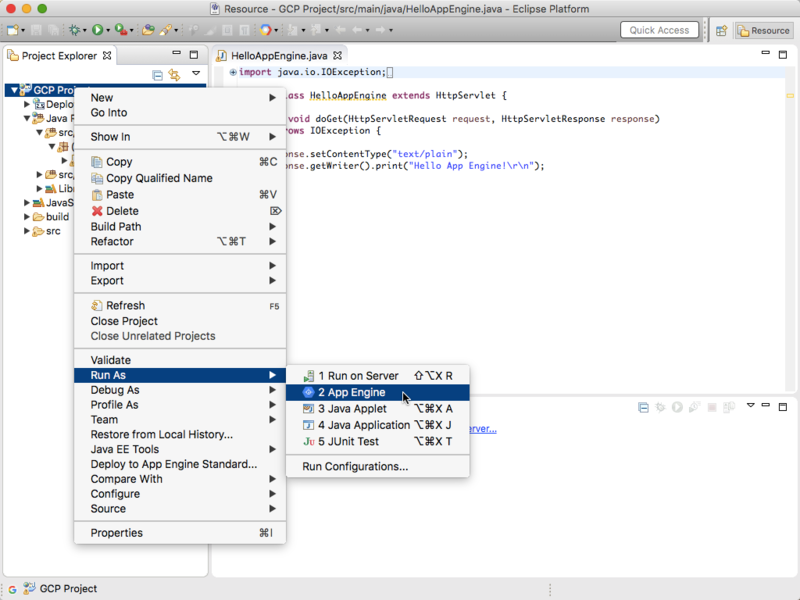 The server stops at the breakpoints you set and shows the Eclipse debugger view. Select Run As > Run on Server. Note: You can also select Debug As > Debug on Server to debug your application on a different host or port. In the dialog, select Manually define a new server. 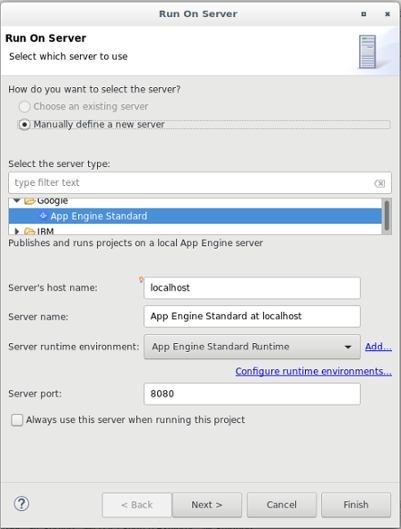 Select App Engine Standard as the server type. Enter the hostname in the Server's host name field. Enter the port in the Server port field. Once you're happy with how your application behaves locally, you can deploy it to the App Engine standard environment.